Fabric is the star of every Insolroll shade, providing both function and appearance. We offer 2 unique, curated fabric collections for interior shades, with solar, blackout, and decorative selections for both residential and commercial applications. All Insolroll fabrics are rigorously tested to ensure beautiful results and performance. Select fabric group below to view swatches. High performance, FR solar screen fabric with KOOLBLACK Technology to provide maximized heat blockage and energy savings in dark colors. In 3% and 5% openness, 36% fiberglass, 64% vinyl. Click to view larger swatches. Woven in a 2 x 2 basketweave configuration to maximize clarity of view, Equinox FR Solar Screen is available in 1%, 3%, 5% and 10% openness choices. Composition: 36% fiberglass, 64% Vinyl. Click to view larger swatches. Sustainable FR solar fabric, recyclable and made with recycled contents. Full basketweave design, in 3% and 5% openness choices, and in 5 colors. Click to view larger swatches. FR solar screen Sedona is a rib weave fabric with a subtle, organic looking texture created by the variation in both vertical and horizontal threads. Available in 3% and 5% openness choices to meet view and sun management needs. Click to view larger swatches. FR solar screen fabric in 1%, 3% and 5% openness, Sierra is woven in a basketweave pattern to maximize clarity of view. Value and performance in 6 color choices. Click to view larger swatches. High Performance Fire-rated (FR) fabric; 4% openness. Composition: PVC-coated fiberglass with highly reflective aluminum backing. Click to view larger swatches. For room darkening, privacy, or both, blackout fabrics are opaque and do not allow light to pass through. Our Insolroll Elements® fabric collection includes 5 opacities for varying degrees of light management and privacy. These beautiful fabrics focus on texture and room ambience. Decorative Fire-rated (FR) solar screen fabric with a unique and subtle, horizontal wave pattern created by variation in thickness of the horizontal threads. 3 colors; 33.6% fiberglass, 59.6% vinyl, 6.8% polyester, in 4% openness. Click to view larger swatches. Decorative sheer fabric; 85% polyester, 15% linen. Click to view larger swatches. Decorative translucent fabric with a slight metallic sheen in White, Cream, Gold and Silver. 100% polyester. Click to view larger swatches. Decorative semi-sheer fabric with the look of woven grass or shredded bamboo, Bahia features decorative vertical stitching and 4 nature inspired colors. 100% polyester provides greater durability and moisture resistance than natural grass or bamboo materials. Click to view larger swatches. With a calm sophistication, horizontally textured Barrington blackout fabric brings a warm, tailored look to residential windows. Foamed backing makes it opaque for privacy and room darkening. Click to view larger swatches. Decorative semi-sheer fabric with a natural grasscloth appearance, in 4 rich colors with varied thread sizes and colors.100% polyester. Colors coordinate with Pacific Blackout. Click to view larger swatches. Decorative semi-sheer fabric with the look of natural grass or shredded bamboo, featuring decorative vertical stitching in 3 rich colors. 100% polyester provides greater durability and moisture resistance than natural grass or bamboo materials. Hampton and Cypress colors coordinate with Bamboo blackout fabric. Click to view larger swatches. Decorative sheer fabric with organic-looking horizontal texture and subtle slubs. 32% polyester, 58% acrylic, 10% flax, in versatile neutral Sisal color. Click to view larger swatches. 100% polyester, Cambric Semi-sheer Fabric features a classic linen pattern face and a soft feel. Available in 5 sophisticated neutral colors, Cambric allows filtered light into the interior space for a timeless elegance. Click to view larger swatches. Decorative translucent fabric with an organic, vertical texture. 100% polyester in 4 colors. Click to view larger swatches. Decorative translucent fabric with a smooth texture with natural color variation and the look of raw fibers. 100% polyester in 2 colors. Click to view larger swatches. Decorative semi-sheer fabric with a silk-like texture and subtle color variation. 100% polyester, in 3 fashionable colors. Click to view larger swatches. Decorative Sheer Fire-rated (FR) Fabric in White with delicate, narrow vertical strip; 100% polyester. Click to view larger swatches. Easygoing Coast provides filtered light in 4 soft colors. Varied thread size with gentle slubbing creates a natural-looking texture with matte finish for understated elegance that will blend harmoniously with the rest of the room's design. Click to view larger swatches. Decorative translucent fabric with a light and smooth texture.100% polyester in 5 neutral colors that coordinate with Moraine blackout fabric. Click to view larger swatches. Decorative semi-sheer fabric with a textured weave pattern in both directions. 75% polyester, 25% cationic polyester, in 4 colors that coordinate with Kennebec blackout fabric. Click to view larger swatches. Decorative Fire-rated (FR) solar screen fabric with a coarser texture, featuring horizontal threads with variation in color, thickness and sheen. A polyester/vinyl on polyester blend ; Sienna and marshmallow colors have 3% openness, Driftwood color has 5% openness. Click to view larger swatches. Decorative Fire-rated (FR) solar screen fabric with texture in both directions created by an irregular weave pattern and color variation. Subtle horizontal movement enhances Crete's organic look. 30% polyester, 70% PVC, in 8% openness; 3 colors. Click to view larger swatches. Daybreak FR translucent fabric has a rich, textile appearance, and allows a subtle flow of light through the material. 42% fiberglass, 51% acrylic and 7% cotton flocked backing. Daybreak features a matching blackout fabric counterpart in Twilight Blackout fabric. Click to view larger swatches. Click to view larger swatches. Decorative translucent fabric with horizontal slubs and tiny raw flax fibers for an elegant, linen look. 89% polyester, 11% linen, in 4 colors. Click to view larger swatches. Decorative semi-sheer fabric with the look of woven grass or shredded bamboo, Key West features decorative vertical stitching with a narrower repeat, in 4 colors inspired by nature. 100% polyester provides greater durability and moisture resistance than natural grass or bamboo materials. Click to view larger swatches. Latitudes semi-sheer fabric features alternating, uneven bands of lightly twisted horizontal yarns and sheer fabric. Latitudes juxtaposes natural and raw with smooth elegance, and just a hint of sheen. Click to view larger swatches. The high-end, designer aesthetic of Mineral blackout fabric adds the "wow" factor with its soft, horizontal texture, subtle sheen and light-play. Varied thickness horizontal yarns creates quiet, organic-looking movement. Acrylic-foamed backing for complete privacy and room darkening. Click to view larger swatches. Decorative Fire-rated (FR) solar screen fabric with a nubby texture, thread color variation and a subtle sheen. 49% polyester, 51% vinyl on polyester in 1% openness. In 3 neutral colors. Click to view larger swatches. Decorative semi-sheer fabric with the look of woven shredded bamboo and a subtle sheen. Nassau features decorative vertical stitching, in 3 rich colors. 100% polyester provides greater durability and moisture resistance than natural bamboo materials. Click to view larger swatches. Decorative sheer Fire-rated (FR) fabric in White with delicate, wide vertical stripe; 100% polyester. Click to view larger swatches. Decorative translucent fabric with light striae in both directions and a subtle sheen. 100% polyester, in 4 colors. Click to view larger swatches. Decorative translucent fabric with a fine, horizontal texture featuring very small natural raw fibers, which are more prominent in Vellum and less prominent in Parchment. Vellum: 97% polyester, 3% linen. Parchment: 83% polyester, 17% cotton. Click to view larger swatches. 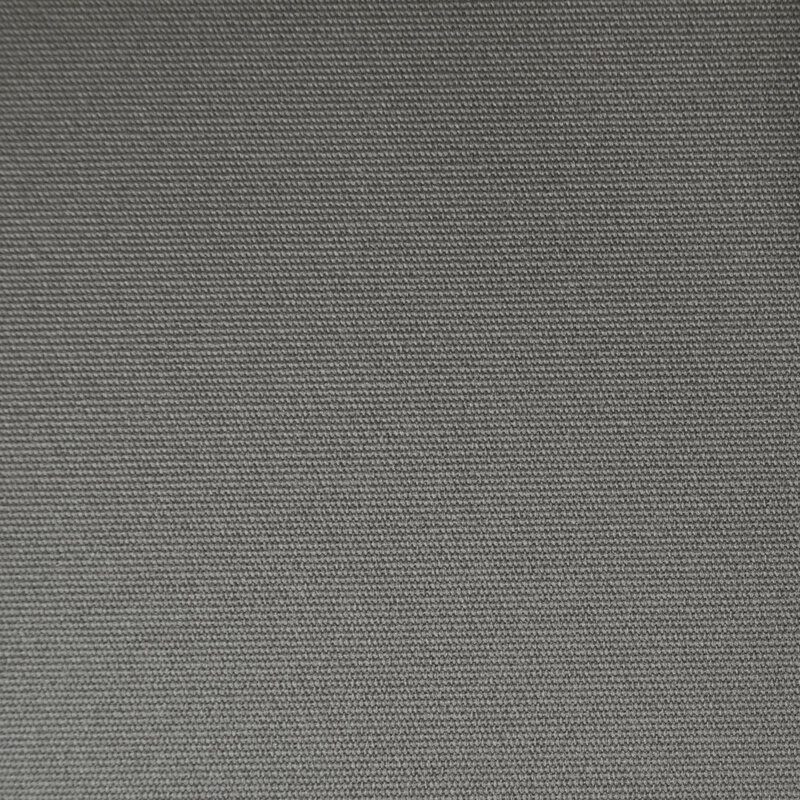 Decorative blackout fabric with a smooth, fine texture and subtle color variation. 100% polyester with acrylic foam backing, in 5 rich colors. Click to view larger swatches. With classic linen texture, matte finish, and variegated horizontal colors that mimic grasscloth, Playa filters light and brings a very natural, serene element to a space. Click to view larger swatches. Decorative semi-sheer fabric with an organic, uneven horizontal texture and varied thread colors. 100% polyester in 4 neutral-based colors. Click to view larger swatches. Strand's variegated color and thicker, horizontal yarns give it a tapestry-like quality, and make it a designer's dream for pulling together different tones in a space. Click to view larger swatches. Sunrise translucent fabric allows a soft glow of light to enter the room. Available in 4 evocative colors; 100% Polyester with Transparent Acrylic Coating/ PVC-free. Click to view larger swatches. Decorative translucent fabric with a simple, elegant leaf pattern. 100% polyester, in 3 versatile color combinations. Click to view larger swatches. Decorative semi-sheer fabric with a subtle raised horizontal stripe with thread color variation. 100% polyester in 3 sophisticated colors. Click to view larger swatches. Decorative translucent fabric with bi-colored horizontal threads and a very fine vertical metallic thread for a subtle sparkle. 98% polyester, 2% lurex in color Shimmer. Click to view larger swatches. Decorative translucent fabric with a fine horizontal, lightly slubbed texture. 100% polyester, in 3 fresh neutral colors. Click to view larger swatches. Decorative sheer Fire-rated (FR) fabric with fine, organic looking slubs and knots in White and Sterling; 100% polyester. Click to view larger swatches. Decorative translucent fabric with a fine, horizontal texture created with color and sheen variation in the threads. 66% cotton, 34% polyester, in 4 fresh colors. Click to view larger swatches. Fabrics for commercial applications feature the attributes required by commercial building codes, including Fire Rating, antimicrobial properties, environmental properties, and more. These fabrics are available for both residential and commercial applications. GreenScreen Revive is a vertical weave, FR solar screen fabric with Cradle to Cradle (cm) Bronze certification. This sustainable fabric is 100% recyclable, available in 1% and 5% openness choices, and in 5 colors. Click to view larger swatches. FR Mojave solar screen fabric is woven in a configuration that results in a soft, linen-like apperance. In 3% and 5% openness choices and made of 36% fiberglass, 64% PVC. Click to view larger swatches. Dual-colored high performance FR solar screen shade fabric that combines the superior heat reflectivity of a white fabric with the glare control and crisp view-through of a dark fabric; 36% Fiberglass, 64% Vinyl; 3% and 5% openness. Click to view larger swatches. Insolroll’s select group of fabrics that set the standard for commercial buildings, including solar screen, sheer, translucent, and blackout fabrics.